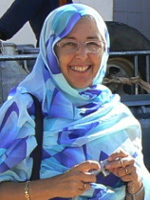 Nancy started up a private dairy plant (Tiviski) in Mauritania in 1989, with the aim of bridging the gap between pastoral herders and a growing milk-thirsty urban population. Tiviski started collecting camel milk from herders and selling it as fresh pasteurised camel milk in gable-top cartons. Cow milk and goat milk followed, leading to a variety of high-quality modern products, including ‘Caravane’ camel cheese, a world first. This effort, involving up to 1,000 milk suppliers, was acknowledged by a Rolex Award for Enterprise, a Slow Food Award and others. 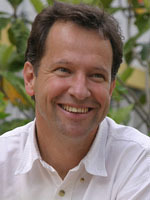 Markus is the Executive Director of IFOAM and previously served as Executive Director of Biosuisse. 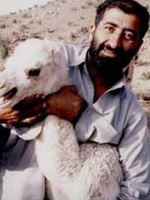 He is a generalist in animal husbandry and international co-operation who has not only been an organic farmer raising endangered sheep, goat, pig, poultry and bee breeds, but also served in key leadership positions, with work experiences in Switzerland, Kyrgyzstan, Afghanistan, Bhutan, Bosnia, Nepal, India, Bolivia, Ivory Coast, South Africa and Israel. His achievements include increasing the brand recognition for the Bio Suisse “bud” logo, planning and initial implementation of a livelihood project in rural Afghanistan, and being a visiting research fellow at the Renewable Natural Resources Research Centre in Bhutan. 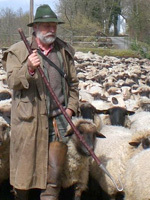 Günther is a professional shepherd working in nature conservation in the Eifel area of Germany. Günther is also the speaker of the German professional shepherd association and an active member of the European shepherds association. Günther believes that shepherds need to better educate the public about the environmental services they provide and therefore co-initiated the “Hirtenzug” in the summer of 2010 in which shepherds from all over Germany and adjoining countries participated in a three month relay trek that started at the Brandenburg gate in Berlin via European Parliament and European Commission in Brussels and ended in Trier in front of the Porta Nigra. Getachew has a PhD in Animal Sciences from the University of Wisconsin-Madison and is a regional trainer on pastoralism and pastoral policy. Before he co-founded MARIL, a private research and development organization, he was a senior lecturer at Alemaya University and worked with ILRI. 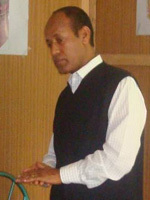 Dr. Gebru is recipient of several awards and currently serves as the President of the Ethiopian Society of Animal Production; he is also a member of the steering committee of Camel Forum Ethiopia; country working group member of the East African Dairy Development Program II and co-coordinator of the Endogenous Livestock Development Network. 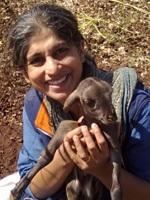 Nitya is a veterinarian and a co-founder of ANTHRA, an NGO working livestock development in the wider context of sustainable natural resource use. ANTHRA mainly works with small and marginal farmers, including dalits, adivasis, pastoralists, landless groups and especially with women from these marginalized communities, focusing on livelihoods, Indigenous Knowledge systems, local breeds, planning for gender sensitive and sustainable alternatives in livestock development , training and advocacy on key policy issues including international trade and climate change. She is the author and co-author of various books and research studies in several Indian languages and English. Nicolette is an attorney and livestock rancher. 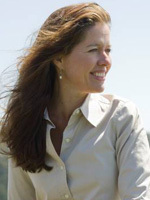 She is a passionate advocate of sustainable food production, and has written the book Righteous Porkchop: Finding a Life and Good Food Beyond Factory Farms (HarperCollins, 2009), and numerous essays for the New York Times and Los Angeles Times. Previously, she was Senior Attorney for the environmental organization Waterkeeper where she was in charge of the organization’s campaign to reform the concentrated livestock and poultry industry. She lives in Northern California with her son, Miles, and her husband, Bill Niman, founder of Niman Ranch, a natural meat company supplied by a network of over 700 traditional farmers and ranchers. The Nimans now sell meat from their ranch under the name BN Ranch. Anita has an academic background in agricultural and veterinary sciences. She was a lead author for the IAASTD Report. 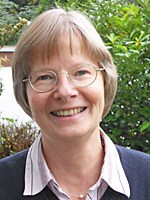 She also works as a coach and mediator, besides teaching at the universities in Kassel and Lüneburg. She has authored several books, including one about cattle not being culprits in climate change. Her special interest is in the history of human-animal relationships. Raziq graduated in animal sciences from Faisalabad Agricultural University . He wrote his Ph.D. about camel….. Raziq is the founder of the Society of Animal, Veterinary and Environmental Scientists (SAVES) and a frequent speaker at international conferences. While he is working as Veterinary officer, in the Department of Livestock and DairyDevelopment, Balochistan, he has established linkages with many pastoralist groups in Pakistan, encouraging them to develop biocultural community protocols and to get organised in the form of ILBA, the Indigenous Livestock Breeders Association. Elizabeth comes from the Ankole Long Horn Cattle (ALHC) keeping community of Uganda and she is a member of the Ankole Cow Conservation Association (ACCA) which is campaigning for ways to ensure that this great indigenous breed does not get extinct. Using the LIFE method, she supported the herders to document their breed. 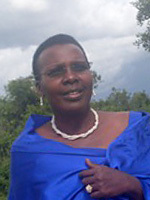 She has been working in development work since 1989 and currently is the Projects Officer with Pastoral and environmental Network in the Horn of Africa (PENHA) –Uganda, an NGO mainly concerned about the future of pastoralists and determined to find strategies and policies for the improvement of their quality of life. In Uganda, PENHA focuses on social –economic empowerment of pastoral and agro-pastoralist women. Maria Rosa is a researcher in Animal Breeding in the National Institute for Agricultural Technology (INTA), Experimental Station Bariloche, Patagonia (Argentina). Her expertise is in animal genetic resources and traditional systems, with an emphasis on small ruminants. She was a member of a research team that helped set up a Geographical Indication for the Neuquen goat which is raised in a transhumant system. Maria Rosa leads the National Project on Animal Genetic Resources and works in several national and regional projects about fibre producing small ruminants. 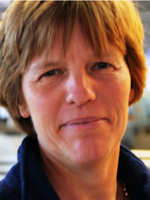 Doris is one of the Managing Directors of the DAFA, an alliance of 56 public funded agricultural research institutions. One of the DAFAs goals is to bundle national thematic expertise for meeting societal challenges. In June 2012 the DAFA published a long-term research strategy in order to measurably improve and harmonize livestock farming with the societal aspirations. 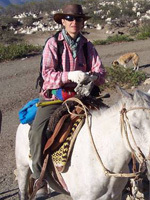 Evelyn is a German veterinarian with a doctorate from the University of Giessen in Germany, an MS in international development from Iowa State University, and a board certification in tropical veterinary medicine. She has some 30 years of experience in international development and has worked in 26 countries, focusing on ecologically responsible livestock production, ethnoveterinary medicine and indigenous knowledge. In 1997, she joined the League for Pastoral Peoples and Endogenous Livestock Development (LPP) and more recently she co-founded the consulting initiative TradiNova Livestock and now focusses on research and the promotion of sustainable and affordable animal healthcare and production. 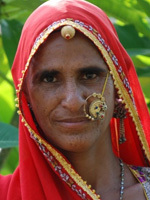 Dayalibai is a livestock keeper from the Raika pastoralist community in Rajasthan, India. She is a board member of Lokhit Pashu-Palak Sansthan, an NGO that supports pastoralists and is a widely travelled advocate for her community and for livestock keepers in general. She is also a traditional animal healer and midwife, currently engaged with the struggle to obtain grazing rights in a protected area in Rajasthan. Ernesto is a livestock economist and has been working in Latin America for more than 15 years in livestock developing projects for GIZ (former GTZ), and other multilateral organizations. During the last 8 years, he has been involved in the coordination of livestock networking activities (agri benchmark and IFCN network in Spain), developing the economic platform analysis for beef, cow-calf, sheep, goat and dairy. He is member of the Direction Board of agri benchmark and IFCN networks. He started as a veterinarian in Colombia, S. America and then he did postgraduate studies in Agric. Econ., and Management in Reading University, U.K and Animal Production in University Autonoma of Barcelona, Spain. Romuald Schaber farms dairy cattle in Bavaria and is president of the Association of German dairy farmers (Bund deutscher Milchviehhalter) which represents the interest of about 30,000 or a third of German dairy farmers. 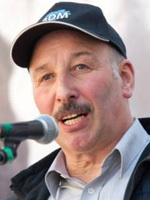 He is advocating for a fair milk price that covers the rising costs for feed, farm running costs and secures the livelihoods of dairy farmers as well as the quality of the milk. He believes that in order to arrive at a fair milk price, the milk supply needs to be reduced, rather than dumping excess milk in developing countries and destroying livelihoods there. He is also author of the book “Blutmilch” (Bloodmilk). Stefan graduated from Bonn University in geography and mathematics and received a PhD in geosciences from the Free University of Berlin in 2000. Currently he is head of division rural development and food security at the German Federal Ministry for Economic Cooperation and Development (BMZ) in Bonn. From 2007 until 2009 he worked as senior advisor to the Secretariat of the Organisation for Economic Cooperation and Development (OECD) in Paris, leading the work on Managing for Development Results. Before joining the BMZ in 2001, he held different posts in the German federal administration in the fields of statistical information systems, regional planning and international cooperation on urban issues. 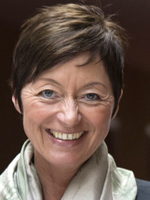 Karin Schwabenbauer is Germany’s Chief Veterinary Officer and was recently elected as President of the OIE, the World Organisation of Animal Health. She started her career in the veterinary administration of Lower Saxony, then moved to the Federal Ministry of Agriculture and Consumer Protection where she was initially working on animal welfare issues, before becoming Chief of the animal health and food safety division. 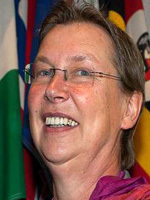 From 2006 to 2009, she was seconded to FAO where she built up the crisis prevention centre and gained experience in international animal disease control in the context of food security. 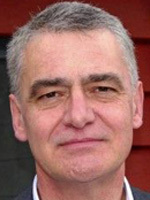 Henning Steinfeld is currently Chief, Livestock Sector Information, Sector Analysis and Policy at the Food and Agricultural Organization in Rome. Trained as an agricultural economist he started his career with field work but then moved to FAO to work on livestock policy issues. 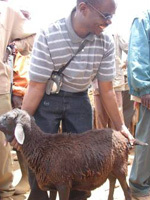 His focus is on questions of sustainability, inclusiveness and health related to the livestock sector. Katrien van’t Hooft is a veterinarian graduated in the Netherlands, who has gradually learned to combine technical experience in animal production systems with innovative methodological approaches. Author of various publications (including films), she is passionate about strengthening ‘people-centred’ approaches towards sustainable livestock development: Endogenous Livestock Development (ELD). 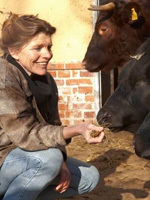 In 2011 she has started an independent consultancy on sustainable livestock production with two major initiatives – TradiNova Livestock and Dutch Farm Experience – based on her experience in both developing countries and The Netherlands. Dr. Wanyama is a Kenyan born veterinarian with over 20 years of experience in livestock development in Eastern and Southern Africa. Until 2008 he was country director for VETAID in Mozambique. He has worked with a number of International Development Agencies in various capacities. He is currently the Africa coordinator of the LIFE Network. 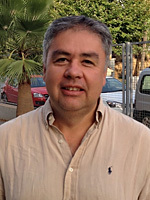 He has published several books on ethnoveterinary medicine, and has a large number of publications to his credit. He presented the key-note address at the IFOAM Conference on Organic Animal and Plant breeding held in Santa Fe, New Mexico in 2009. Dr. Wanyama was instrumental in organising the Conference of Indigenous Livestock Keeping Communities in 2003 that resulted in the “Karen Commitment” and is a core member of the movement for Livestock Keepers’ Rights. He is a member of the Nourishing the Planet Project Advisory Group of the Worldwatch Institute (U.S.A.) and the Kenyan National Advisory Group on Animal Genetic Resources.